Over the past three years, Ian Faloona of UC Davis and several other atmospheric scientists have been picking up increased readings of lung-damaging ozone from their monitoring stations along the extreme edge of the Pacific coast. The stations are over 5000 feet up and far enough to the west that they are not measuring ozone produced in the US. In fact they should be getting the cleanest air possible as they face the open ocean. This is particularly alarming since the US itself has significantly reduced emissions over the past few decades. We can no longer think that if we clean up our own backyard that we will necessarily enjoy the health benefits of our efforts. According to the scientists, emissions from Asia take only a week to cross the Pacific and increase our baseline levels of ozone in western North America. On top of that, the EPA is reducing the allowable ozone levels this year to 65 and 70 parts per billion. Opponents say that the districts should focus on their own sources of pollution that they can do something about, the implication being that nothing can be done about the pollution coming from Asia. According to Faloona and his assistant Andrew Post, the UC Davis monitoring station on Chews Ridge, high in the Santa Lucia Mountains ,west of any US-caused pollution, has registered concentrations of ozone as high as 80 parts per billion coming in off the Pacific. This will become a much bigger issue as EPA fines get leveed. The 2012 $100 million fine imposed by the EPA on the San Joaquin Valley District, is made payable by an extra $12 per year in vehicle registration fees, for instance. At what point do we have to look at the bigger picture? Even as we clean up our act, we are being undermined by our neighbors albeit on the other side of the Pacific. 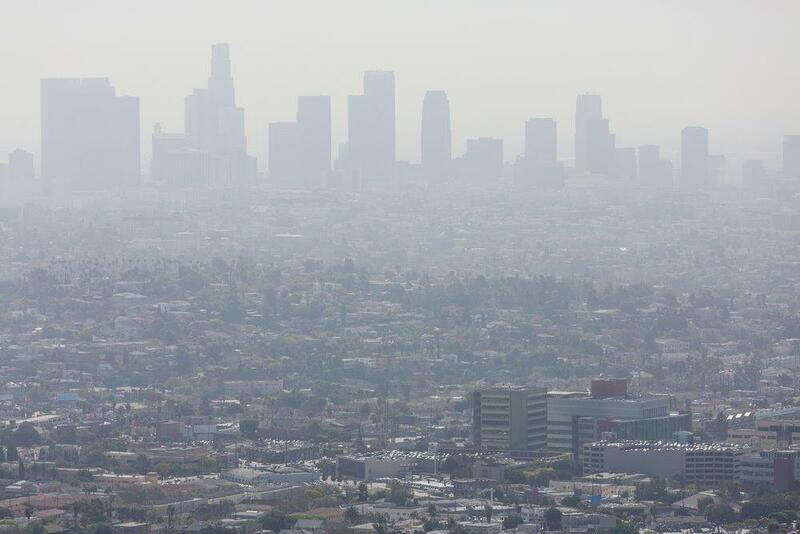 Maybe we should be asking, “What kind of fuels and machinery are we selling to Asia that will turn around and pollute our air and hurt our health?” Maybe the fines should be on the manufacturers of ozone producing equipment, vehicles and fuels. We can no longer act like we are not affected by the products we sell to Asia, nor, for that matter, the products we buy from Asia. Eventually the air quality will become so bad that there will be a public outcry to hold consumer products made in Asia to the same air quality standards of manufacturing we impose on our own producers. If you import products from Asia and the ozone from that plant comes to the US, are you not culpable for the health consequences? We live in California and we are pretty proud of our state’s reduction of ozone over the past several decades. It seems like we should begin now, before it’s out of control, to take this issue to the next and obvious level. Factory and auto exhaust from Asia is only one week away. Pollution knows no borders.